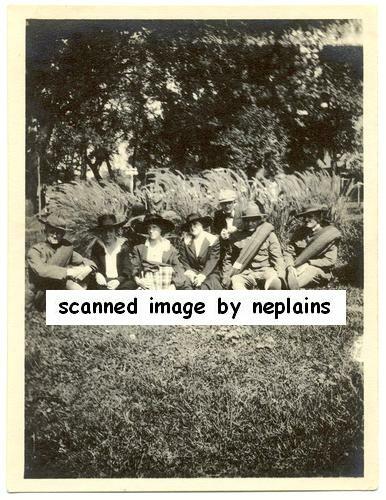 Three women, three men, and a boy pose for this photo, while sitting in a grassy area. Location is unknown, but this photo was discovered with other views from Humboldt, Nebraska. The photo measures approximately 3-1/4 x 4-1/4 inches. It is in Very Good condition with minor corner tip wear.